Driveline preload lets the muscle car launch quicker and with less stress on the other expensive powertrain components. When active, the Transbrake locks the automatic transmission’s output shaft, so the driver can build revs without creeping forward. While this would also be possible by holding down the brakes, Dodge’s setup lets drivers release the Transbrake with a simple pull of the paddle shifters. 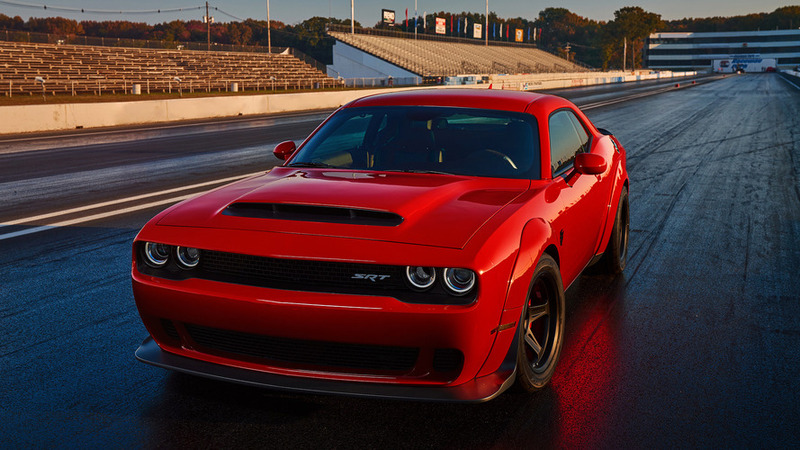 The company claims the Demon’s tech leads to 30 percent better reaction times than using the brakes. Suddenly causing such a spike of force on the powertrain could wear out the Challenger Demon’s expensive components, so the muscle car also preloads the driveline with torque prior to launch. Dodge claims doing so reduces the chance of damaging the parts and puts the power down better at launch. Drag racers want to put as much power onto the road as possible; so on a rear-wheel-drive machine like the Challenger Demon, the front wheels aren’t doing very much. For further weight savings, Dodge’s new muscle car features lightweight brakes that allow for the fitment of skinny wheels at the front axle. 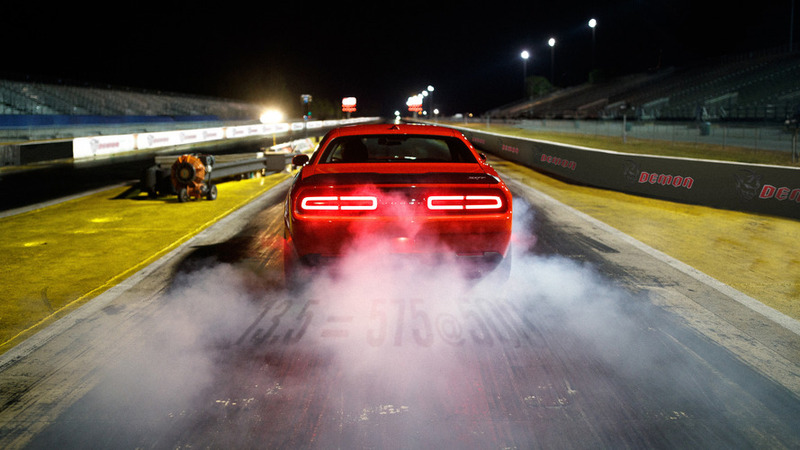 Dodge’s engineers are doing everything in their power to make the Challenger Demon the ultimate factory-offered drag racer. The car features a high-tech launch system that lets it build more pressure in the supercharger, and when drivers do take off, an upgraded torque converter can handle the punishment. The adaptive suspension also has a setting for maximizing power transfer to the rear wheels. Plus, the team is installing a plethora of heavy-duty components for taking the higher loads. 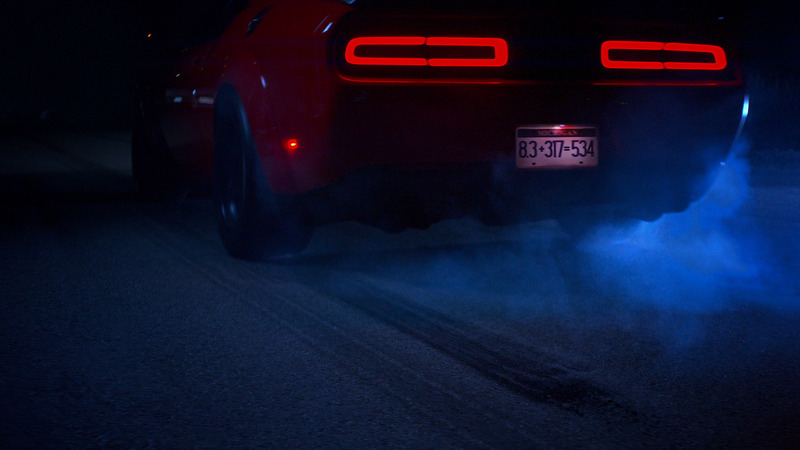 The Challenger Demon’s teasers suggest the muscle car could make 757 horsepower (565 kilowatts), and we know the vehicle is at least 215 pounds (97.5 kilograms) lighter than a Hellcat by stripping away much of the interior. The Demon is still technically street legal, but the details so far suggest that it would be an incredibly raw machine on the road. This is the 11th teaser outlining the Challenger Demon’s capabilities, and the slow debut is nearly over. 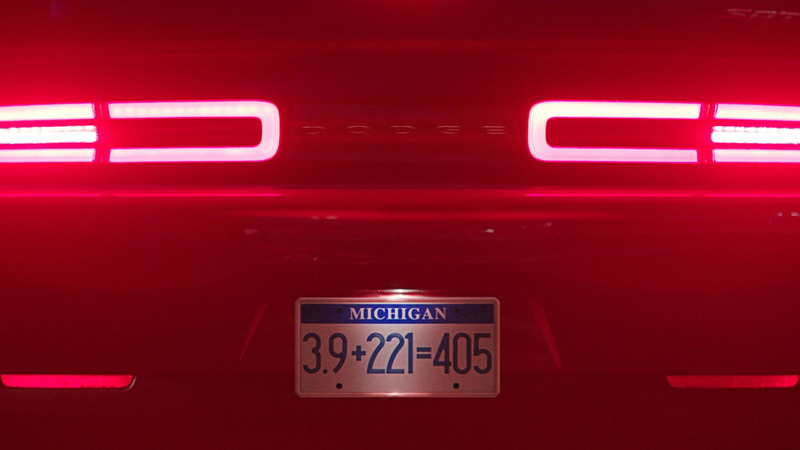 Dodge will finally unveil its latest muscle car on April 11, during 2017 New York International Auto Show. The TransBrake feature also compliments the SRT Demon’s new lightweight brake package, designed to enable the use of narrow front-runner wheels at the drag strip. With TransBrake holding the SRT Demon steady, more torque is available via higher engine rpm without fear of overwhelming the reduced grip of braked front runners. This gives the SRT Demon up to 40 percent more available launch torque compared to vehicles with front runners using a foot-brake launch. From muscle cars to minivans, crossovers and full-size SUVs, the Dodge brand’s full lineup of 2017 models deliver best-in-class horsepower, class-exclusive technology, unmatched capability and a slew of cool features, such as LED headlamps, Dodge signature racetrack tail lamps, active exhaust, cold-air induction, 8.4-inch touchscreen Uconnect infotainment centers and 7-inch customizable gauge clusters, to name a few. For the 2017 model year, the Dodge brand lineup features the 25th anniversary Viper, Durango, Grand Caravan, Journey, Charger and Challenger, including the new Challenger GT, Charger Daytona and Challenger T/A, as well as the 707-horsepower Challenger SRT Hellcat, the most powerful and fastest muscle car ever and the Charger SRT Hellcat, the quickest, fastest and most powerful sedan in the world.